A plant that heals wounds, is anti-inflammatory, and anti-oxidant, detoxifies the body, soothes indigestion, IBS, arthritis, and act as a natural tonic sounds too good to be true. And you can grow it at home! Vitamins A, B1, B2, B6, B12, C and E, calcium, potassium, sodium, magnesium, manganese, copper, zinc and selenium, 20 of the 22 amino acids the body needs, proteins and polysaccharides – long chain sugars. • Mahatma Gandhi who ate the leaves while on hunger strike. One of the best known health supplements on the market aloe vera can be purchased as juice, tablets and capsules and in a plethora of other brands such as gels, shampoos, cream, toothpaste, deodorant, and moisturiser. But consumers need to be aware that the very words Aloe vera tend to boost sales, so even the tiniest content in a product will make it more marketable. • If aloe vera is not the first ingredient of juice it is unlikely that there is enough in the product to be effective. One of the most misleading things is that most bottles of aloe vera juice state that they contain 100 per cent pure aloe vera juice but this is not measurement by volume. The juice within the drink may be 100 per cent pure, but there could be as little as 2 per cent by volume within the liquid, with the rest of it made up with water. The likelihood is that if tastes like water it probably is water. 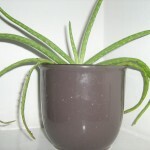 Aloe vera has a strong (not particularly pleasant) taste so if it tastes weak and sweet it is unlikely that the product contains much of the real thing. While it might be true to say that if aloe vera juice is noticeably cheaper it is unlikely to be very potent, the opposite may not be the case. Just because a product is expensive it is not necessarily genuinely pure. The most reliable way to know that the aloe vera you are buying is bona fide is to look for the International Aloe Science Council mark on the packaging. This applies to all aloe vera products – toothpastes, soaps, gels, creams, etc. – as well as juice. The organisation only endorses aloe vera which has been grown organically, processed properly and contains a maximum amount of pure aloe vera. Some aloe vera drinks have other juices added to them such as orange or cranberry, but apart from these there should be no added sugar in the list of ingredients. Unlike some products, it is however the mark of a good aloe vera juice if it contains preservatives, as these can be from a natural source. Aloe vera juice could contain, for example, sodium benzoate from blackberries and mountain berries, sorbitol from corn, and citric acid from limes, lemons and oranges. Aloe vera juices which claim that they do not contain any preservatives are unlikely to have any shelf life at all and should not be purchased. Some press reports have indicated that high levels of aloin have been found in some aloe juice drinks and that this substance can cause miscarriages and stomach upsets. In the UK there is no set limit on the level allowed, while in Japan, by contrast, aloe vera juice can only contain up to 50 parts per million. This lack of regulation makes it difficult for consumers to choose between brands unless they avoid aloe altogether when pregnant. There are differing views about the effectiveness of taking aloe vera capsules and tablets with some people believing that there is too little aloe in them to have any effect. 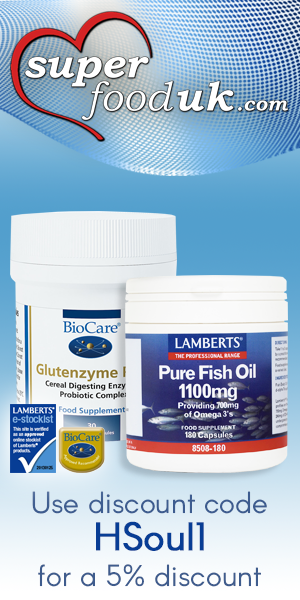 Those who find it more convenient to take tablets and capsules should carefully check ingredients and look for the International Aloe Science Council sign. The same applies to other products such as gel, toothpaste and moisturisers but this depends on how important the content of aloe vera is to the consumer. If you require the aloe vera for health purposes you need to be very discerning. 2. Drinking aloe vera juice daily is claimed to be a good health tonic and detoxifier as well as helping with: digestive problems, arthritis, M.E., colic, IBS, candida and bad breath. Aloe vera plants grow naturally in dry, hot climates, but they will flourish indoors in the UK. They need to be kept on a sunny window sill in moist soil where they become prolific, transforming from a few thin leaves to a cactus-like plant with strong, spiky leaves. It is easy to propagate as little babies start to appear in the surrounding soil and these can be easily transplanted. For topical use you simply break off the end of a leave and open it up to scoop out the gel which is sticky and colourless and can be applied directly on to the skin.